Pivotal moments in our lives often inspire lifestyle changes. For Coach Stacey, this began in the summer of 2011, when she decided to make health and fitness a priority. Stacey was active during high school, as part of the swim team, and played several different sports throughout her young adult life. Stacey began her adult fitness journey by joining a gym, working with a personal trainer, and putting in many hours there each week. After seeing all the positive affects of living a fit life, Stacey knew she wanted to inspire others to find the same passion for fitness. Stacey lived most of her life in central Indiana, before moving to upstate New York. She graduated with a degree in Art Education from Indiana University, and taught Visual Art in Fishers, IN for 5 years. Art and fitness are her two biggest passions in life. In March of 2013, Stacey attended her first group fitness class called BodyPump, at a small gym in Fishers. She fell in love with the “we’re all in this together” group fitness mentality. So, in September of that same year, Stacey went through training and became a Les Mills certified BodyPump instructor. She loved the feeling of leading a group of people through a workout, and inspiring them to keep pushing to meet their fitness goals. On April 2, 2013, Coach Stacey experienced her first ever CrossFit WOD. And, so it begins. Stacey felt all the feels associated with trying CrossFit for the first time. The sense of fear of the unknown and being uncomfortable, the excitement, the challenge to not quit, and the potential level of fitness that this sport achieves. She knew instantly that CrossFit was something she wanted to be a part of for the rest of her life. In the summer of 2015, Stacey relocated to Schenectady and was in search of a new “gym home.” She started out at The Court Club, teaching BodyPump, then later joined the Albany Crossfit community. Stacey loves the community/family aspect of CrossFit and how it can unite and inspire people. Stacey has been a competitor in several local competitions, both in Indiana and NY, and has participated in the CrossFit Open for the past 3 years. In April of 2016, Stacey finally achieved one of her goals and attended the Level 1 CrossFit training seminar. 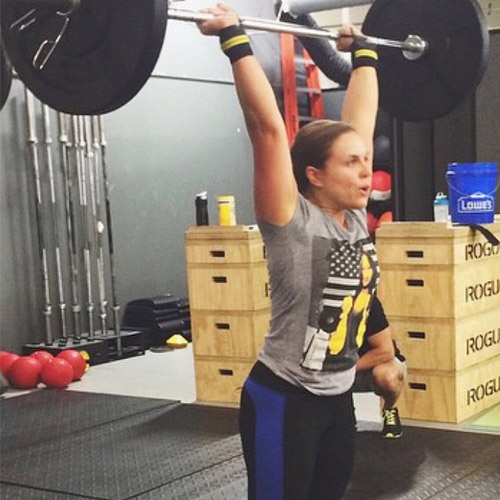 Not only did her knowledge of CrossFit grow, but so did her love for it. In June of 2016, Stacey started coaching at Albany CrossFit. Coach Stacey hopes to encourage others on their fitness journey, as well as further her education and practice of the fundamentals of CrossFit.